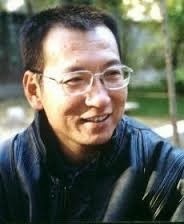 Writer, renowned literary critic, one of China’s leading political activists, and the 2010 Nobel Peace Prize laureate, Liu Xiaobo was perhaps China’s most well-known political prisoner currently behind bars. He was in prison in northeast China’s Liaoning province serving an 11-year sentence for subversion. Following his release from Qingcheng, Liu continued writing, focusing on human rights and politics, and the authorities kept him under strict surveillance and banned his books. He ignored friends’ suggestions that he take refuge overseas. In 1995, Liu was taken into custody and held under house arrest for launching a petition campaign calling on the government to reassess the 1989 democracy movement. In 1996, he was extra-judicially sentenced to a three-year labor camp term for co-authoring a declaration supporting peaceful unification with Taiwan. Liu was president of the Independent Chinese PEN Center from 2003 to 2007 and an honorary president. He was also the editor of the magazine Democratic China now an online publication since the 1990s. In 2008, Liu wrote Charter 08, a manifesto calling for reform of China’s human rights that was initially signed by 303 Chinese intellectuals and dissidents and released on Dec. 10 to mark the 60th anniversary of the U.N.’s Universal Declaration of Human Rights (http://www.charter08.eu/2.html). Two days before its release, police took Liu into custody and he was subsequently charged with “inciting subversion of state power.” On Dec. 23, 2009, the Beijing Municipal No. 1 Intermediate People’s Court convicted him of that crime and sentenced him to an 11-year prison term with two years deprivation of political rights. On Oct. 8, 2010, Liu was named the winner of the Nobel Peace Prize, to strong denunciation from China. Liu remained in prison until June 26, 2017, when China released him on medical parole after belatedly diagnosing him with late-stage liver cancer on May 24, 2017. Officials denied requests made by Liu and his wife, Liu Xia, to allow him to travel overseas to consult cancer specialists and said he was too fragile. Two doctors from the U.S. and Germany came to treat Liu and contradicted the original travel decision once they assessed him, saying he was healthy enough to make the trip abroad. The Chinese government ignored their assessment and kept him in China until July 13, 2017, when he died. He was the first Nobel Peace Prize laureate to die after suffering abuse and inadequate medical care at the hands of a government since Carl von Ossietzky passed away under the Nazi regime in 1938. Liu was born Dec. 28, 1955 in Changchun, the capital of northeast China’s Jilin province.